How does taxifolin works to cerebral ischemia? Taxifolin (taxifolin, dihydroquercetin, diquertin) in combination with ascorbic acid (vitamin C) impairs cerebral cortex damage caused by ischemia of the brain. 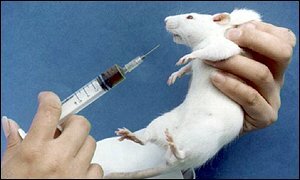 Studies have been carried out using electron microscopy and electrophysiology research on laboratory rats. The research was conducted in the Russian Academy of Sciences Research Center in Tomsk, Institute of pharmacy. Featured article was translated into English from “Byulleten, Eksperimental’noi Bilogii and Meditsiny, Vol. 130, No. 11, pp. 543-547, November 2000. Cerebroprotective effects of Diquertin and ascorbic acid. Researches have shown that repeated administration of dihydroquercetin (taxifolin) weakens the destruction caused in the cerebral cortex by brain ischemia.The test was very drastic. Taken 28 rats, they forthe first ligation of the carotid artery so as to reduce the flow of blood by half, then then treated with taxifolin. Five days later they were sacrificed and their brains were examined. The text is very scientific, and I’m not an expert, so I can’t even understand what in fact were studied. I’m not a doctor. The most important is conclusion, however, is that in conjunction taxifolin with vit-C reduces damage in cerebral cortex induced by ischemia. Probably is hard to find among your friends the case of a patient who had such ischemia and taking taxifolin, because how to examine whether this taxifolin help? How to survive, it raises the question whether if he did not take it too to survive? Maybe someone has a research on people that would confirm this action of taxifolin.